The Dobermann Tchokr fork was designed to give a stronger option to the rigid fork enthusiat. Stronger and stiffer, lighter and cheaper than a suspension fork, making this baby the weapon of choice. Large diameter fork blades and internal vertical gusset truly bring the fork to our standards. At only 3.07lbs, it’s the best compromise between durability and weight. It can outlast any rigid fork out there. 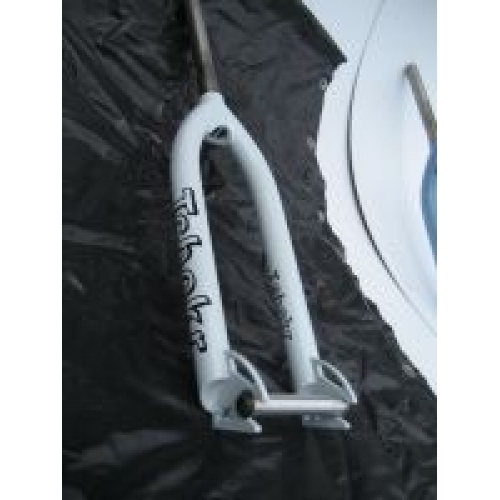 - Build in house, in Canada, using True Temper 4130 American-made chromoly tubing.